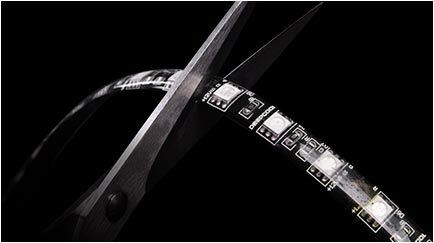 Includes 3 primary-color high-brightness LED that provide a pure, soft, uniform, and zero-glare lighting. 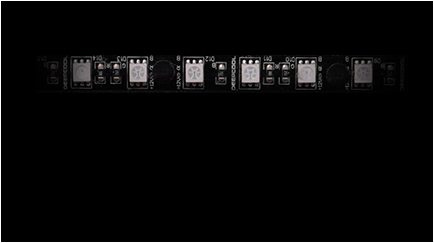 Estimated 100,000-hour operational lifespan and provided with a safe 12V power supply. Allows customized spatial configuration in your rig. 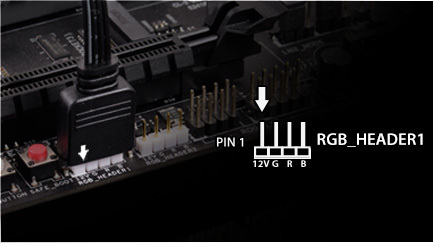 Software control is accessible if your motherboard features RGB SYNC and a 12V RGB 4-pin port. 360° Omni-directional RF remote control. Brightness can be adjusted using the B+ / B- button when the LED light is switched to the single-color mode (by using the M+ / M- button). 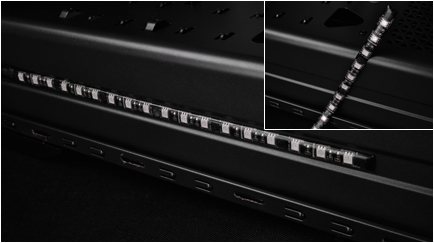 The brightness function using the B+ / B- button will not work when the LED is switched to the breathing & flash mode. To reduce power consumption, the remote will enter power saving mode when idle for 20 seconds. The remote can be re-activated by shaking it gently.